Dec. 20, 2016 – Prospect Recreation & Park District (PRPD), in partnership with The Trust for Public Land (TPL), acquired the Applewood Golf Course for $13.5 million from Molson Coors Brewing Co. The purchase is the result of more than a year and a half of planning and fundraising efforts by multiple partners to protect the unique tract of open space from residential development. On June 13, 2016, the Board of Trustees of Great Outdoors Colorado (GOCO) awarded PRPD, in partnership with TPL, $3 million in funding for the acquisition. The project was one of four to receive a grant in the first ever round of GOCO’s Protect Initiative, which will invest $47 million over three years in once in a lifetime conservation opportunities in rural and urban areas of Colorado. The project is expected to create a new trail connection to the Peaks to Plains/Clear Creek Trail from W. 32nd Avenue. In addition, the property, with its access to Clear Creek and adjacency to several reservoirs, provides habitat for numerous migratory and resident birds and small animals. Local community members have been highly supportive of protection of the open space since developers indicated interest in rezoning the land for more than 400 residential homes in 2015. Nearly 70 percent of PRPD’s constituents passed a bond measure in November 2015 to raise funds for the district to buy the property from Molson Coors Brewing Company and protect its use as a recreational amenity and open space. As a result of the voter approved bond, PRPD leveraged $9.4 million in funding for the purchase, and Jefferson County Open Space contributed a $1.1 million grant from its Local Park and Recreation Grant Program. “We are delighted to be one of the many partners that joined together to preserve Applewood Golf Course for the community to enjoy, covet, and steward as public open space and parkland. This is a great story of a small park district that wisely engaged and enlisted the community and partners to come together to preserve this important place. Our heartfelt congratulations go out to all who worked so hard on this. 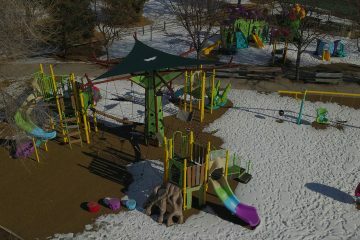 They have given the community a lasting holiday gift,” said Jefferson County Director of Parks & Open Space Tom Hoby. We’re pleased to have partnered with PRPD and TPL to preserve the golf course for the benefit of the community. We’ve owned the property since the 1960s, but we need to devote more of our focus to growing our global operations. Together with our donation of South Table Mountain in 2004, we’re proud of our continued support for preserving the great outdoors in our hometown of Golden, Colorado,” said Sam Walker, Chief Legal and Corporate Affairs Officer at Molson Coors Brewing Company. Great Outdoors Colorado (GOCO) invests a portion of Colorado Lottery proceeds to help preserve and enhance the state’s parks, trails, wildlife, rivers, and open spaces. GOCO’s independent board awards competitive grants to local governments and land trusts, and makes investments through Colorado Park and Wildlife. Created when voters approved a Constitutional Amendment in 1992, GOCO has since funded more than 4,700 projects in urban and rural areas in all 64 counties without any tax dollar support. Visit www.GOCO.org for more information.